While the Starks have direwolves as pawns, the Lannisters have their trusty footmen. So here they are! They took quite a lot of time to make, but overall I’m quite alright with how they turned out. 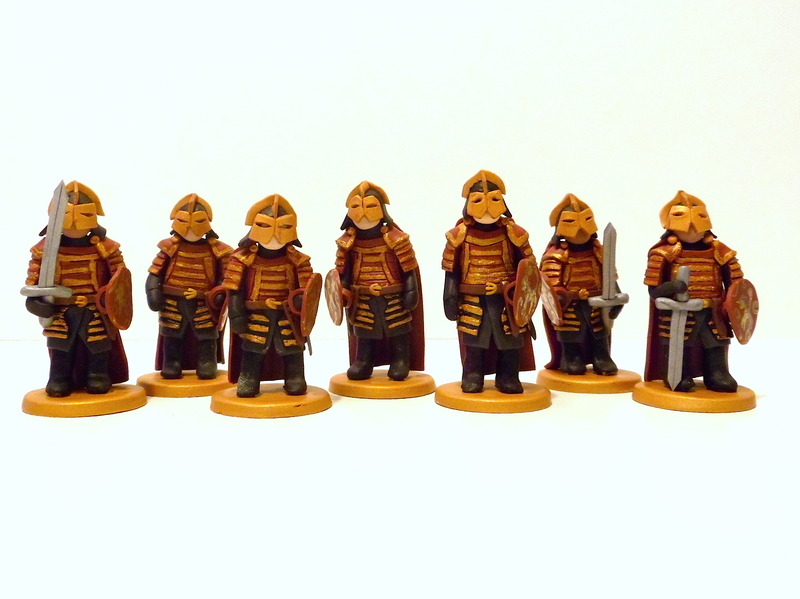 You may have noticed there are only 7 soldiers, whereas there are 8 pawns. That’s because the pawn in front of Tyrion is going to be Bronn, captain of the King’s Guard. He doesn’t wear the uniform, so I’m making him separately.